I know, I know. You’re looking for a dystopian cyberpunk adventure game with a retro twist, but there’s just nothing scratching your point-and-click itch. Boy, have I got news for you! 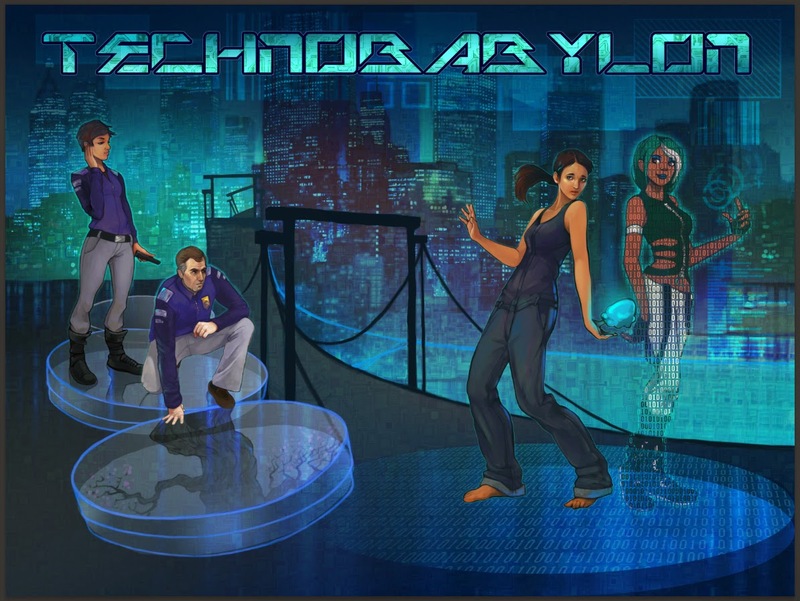 Wadjet Eye Games, along with Technocrat Games, have recently announced Technobabylon, due to release in the spring of 2015. “Technobabylon takes place in a dystopian cyberpunk future where genetic engineering is the norm, the addictive Trance has replaced almost any need for human interaction, and an omnipresent AI named Central powers the city. Its all-seeing CEL police force keeps tabs on everyone…including three people who are about to meet their maker.” says Wadjet Eye Games by way of the recent game announcement. Integrating feedback that Dearden received following these earlier releases of Technobablyn segments, the partnership with Wadjet Eye Games promises the top notch graphics treatment and voice acting we’ve come to associate with Wadjet Eye Games, as well as revamped story and gameplay. Alongside the game announcement, information about Charlie Regis, one of the three playable characters, was revealed. Be sure to check out the game page to learn more about other characters as information is released. You can also follow Wadjet Eye on Facebook and Twitter. You can read more about this upcoming adventure game by visiting Wadjet Eye Games’s website and Technocrat Games’s site. There, you’ll also find the back catalog of games by the Technobablyon team, including the Blackwell series, Resonance, Primordia, and Gemini Rue. How then, can your tones contribute to the cause when all you have is a headset mic and you’re nowhere near the Wadjet Eye studios? “Because these contacts are coming across on a “telephone”, they don’t need to be ideal – they can sound like they were recorded on a diddly little headset mic, or a built-in laptop microphone. This means that we have the potential to get a whole lot more people involved,” James explains in this post on Technocrat Games’ website. So if you’re ready to submit something along the lines of “Hi, this is Adam. I’m not here right now, leave a message and I’ll get back to you,” email your interest to extras(at)technocratgames(dot)com for a more in-depth explanation of what they need.